I consider that a good thing! On the 20st of September a new book will get published about Lotto-Soudal: "Lotto-Soudal, de winnende combinatie" (so the "winning combination" that is) by Willem De Bock. It's 224 pages, I don't know how much it costs and hesitate to buy it. The Belang van Limburg are proud to announce that their man Tim Wellens is on the front cover along with his Ridley bike, which was manufactured in Beringen, Limburg as well (I didn't know that). The author wants to describe the team philosophy and how hard is fighting to get to the top of the cycling scene and to remain there. Why all of a sudden doesn’t Lotto-Soudal win anymore? Since Greipel won the final stage of the Tour of France, it’s frightfully quiet in Lotto-Soudal. The Belgian Team only won three times in humble races like the Tour of the Ain, the Tour of Britain and the Wallonia GP. What’s missing? In 2015 after the Tour of France they still got 12 wins including WT races such as the Tour of the Low Countries or the Hamburg classic. The 2014 end of season also was glorious with 10 victories including a stage in the Tour of Spain. Even though the nucleus remained almost unmodified ever since, it suddenly got a lot harder to win for the troops of the National Lottery. That did not escape first DS Herman Frison either. In the next days, we are going to assess the situation together but I see a few possible causes. We have raced very little since the end of the Tour of France. Because of the Olympics the whole calendar has been turned upside down whereby for instance the Tour of Poland was held during that of France while the Tour of the Low Countries was moved to September. That has had influence on the repartition of the season for someone like Tim Wellens who peaked for the Tours of Italy and Poland this year but then was no longer in top form in the later part of the season. Beside that fact we scrapped a certain amount of races ourselves, like the Tour of Denmark of instance because we thereby hoped that our riders would be fresher but it seemed that some riders were no longer in good form after the Tour of France. Debusschere did not complete the Tour of France because of a shoulder injury, Roelandts had problems with his hamstrings. They are just the guys who easily account for a win in the later part of the season. So not this year. Greipel realises that it’s his last chance to get World Champion and focused on Doha, whereby after the Tour of France he deliberately took a bit of petrol. As a team we understand that and gave André the chance to prepare in the best possible way but maybe in recent weeks we thought too little about ourselves. Believe me: Greipel, Debusschere and Roelandts don’t win at the moment but it doesn’t mean to say that they are bad, on the contrary. And if Greipel is World Champion on 16 October in Doha? Then the meager year’s end is forgotten right away. And even if he doesn’t manage it, then you won’t hear us whining. 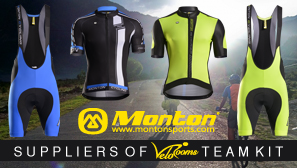 Across Flanders, four stages in the Tour of Italy, stages in the Tour of France on Mount Ventoux and in Paris. Even if the year’s end was lesser, it doesn’t mean we had a poor season. Long time promised, the Nieuwsblad/Sportwereld article about Tim Wellens in the background of the "Flandrien" award on 22 October. I couldn't post it before because I was really exhausted, almost burning out. Now I feel better. And I've got to share it because AG labelled me a Tim Wellens fanboy and when AG stamped me it's forever. So I shouldn't disappoint her. He also won a stage at the Tour of Italy and the Tour of Poland GC. Yet the final stage of Paris-Nice stand above all for Tim Wellens. He outsprinted Contador and Porte in a direct duel. It was as so often for him the day after a counter-performance and it took place on his beloved French Riviera. “I had already thought about settling here back then”, says the new Monaco resident. The frame of his sunglasses has the same motive as the fur of a Siberian tiger, fitting with his fashionable white shirt and the motor helmet that Tim Wellens is carrying in his right hand. Even though it’s only 20km from his new house in Monaco to the terrace of the Promenade des Anglais, the off season is the off season and you don’t cycle. Because of the heavy traffic it’s dangerous to cycle in Nice and I have to empty the petrol tank of my motorcycle in order to change the petrol flap. A 125 sq c by the way. Tim Wellens feels like a fish in the water in his new area. As we would be! While in our country are ringing overtime you can see a cloud in the sky on the coast of the Med. A big 7 months ago the same location was rather dark for the 25 year old Limburger of the Lotto-Soudal team. In the last but one stage he lost more than 3 minutes. Away classification. Paris-Nice was my first major goal in 2016. Beforehand I recognized three days. Seven hour trainings. Gert Steegmans showed me the way, even though he couldn’t keep up for 7 hours (laughing but straight serious again). And then this! On the first 4 km of the Madone Wellens kept up very well but unfortunately the climb was 15km long. Long climbs are not my point fort. My climbing effort is limited to 25 minutes. That’s the main difference between Contador and I. He’s riding as fast on a 3km climb as on a 15km climb. I’ve already trained that last year but then I had to stop the training half way. Too hard. This winter I’m gonna work on it. They are the hardest training that there is. After the finish Wellens regrets being just a one-day racer. The disappointment is there but not noticeable. I’m rather shy. That is in the family. If I’m very disappointed I don’t show it. Even less if I’m super happy. Then again I’m not someone who goes nuts in the team bus. Only my girlfriend Sophie sometimes notices a bit of aggression. The disappointment went quickly away in the evening thanks to roommate Thomas De Gendt. He’s always so joyful, then you quickly forget about all your worries. What did we do? Obviously not eating M&M’s. Since last year’s Tour of France, I’ve been disgusted of it. We had just laughingly said before going to sleep that we would do a duo attack the following day. The tale came true. Both Wellens and De Gendt were in the lead group that Sunday. That Wellens has a super day after an off day is nothing new. I don’t know how that comes but if I suffer badly one day I’m super the day after. Also at the Tour of Italy I was burnt out the day before. I’m probably an exception in this respect because I’ve never heard that from any other riders. Perhaps I have to train super hard the day before Liège-Bastogne-Liège next year. The super legs may also have come from the breakfast. Our team cook Carol had planned a healthy breakfast. But next to it was a unhealthier buffet from the hotel. I’m one of the riders who also went to the other buffet. A bit sinning. I’m against the idea that during a stage race you need to eat healthily seven days a week. A little pack of Nutella is no harm. I’m also no coffee drinker. Tea, yes. Warm but also simply cold water with a tea pack in it. Jasper Stuyven has learnt it from Cancellara It doesn’t give up all the taste of it but it’s better than water and [‘vochtafdrijvend’, I don’t really understand the word, please help!!]. So you got sharper from it. 3. Nutella is very bad, Tim. Stop it. 4. Remember that Jasper and Tim are good friends, ever since Jasper’s junior World Champion title in Moscow 2009. They form a nice quartet with also Sean De Bie and Louis Vervaeke and made together a docu TV show: “Jonge Benen” (Young Legs). I’m also normally more of a tea drinker than a coffee drinker even though in recent months I would rather neither of them but I should once try cold tea. Back to Sunday 13 March. The lead group splits on the final climb: the Col d’Eze. The Spaniard David de La Cruz attacked. I had to give all I had to follow him. I five minutes I cycled more than 500 watts. My highest value ever in five minutes. Fortunately he was too dynamic at the start and paid the price for it afterward. I steamed through uphill, mainly because Contador and Porte had attacked from the peloton. What I still know about it? Right before the top, two motorbikes had crashed against each other. That’s about it. The funny thing is that I often pass by it. The Col d’Eze is on my regular route when I go for a loose ride. Just before the top Contador and Porte got back. The understanding between the riders is straight excellent. They had to go through anyway if they wanted to make a chance for the GC. With 2km to go I place myself in third position. The final 200m Wellens comes out and sprints to stage win with a lot of left energy. I then hit 1,250 watt for 10 seconds. My best ever sprint. Two personal records in one day. And this after an off-day. On the finish line Porte raised the middle finger. I still don’t know why. I guess addressing Contador because the latter no longer wished to take turn in the final 500m. Afterwards Porte came to congratulate me. Four days before I learnt to know him in the Ventoux descent. We annoyed each other by overtaking just before a corner. Also on the finish line, the hardly extravagant celebration of Wellens’. 5. Tim, I love this celebration. It’s so simple and humble. The Montreal one was very cool. The ‘original’ celebration at the Tour of Italy was a bit lame. Keep your traditional one !!! That the win in Paris-Nice was rated so high by the outside world comes because he beat Contador and Porte. Of course I’m not saying that I took a gap before the climb. Had I started the climb with Contador, I would never have won. Anyway I think Paris-Nice is a high regarded race. More so than Tirreno-Adriatico for example. Maybe the love for the Race to the Sun comes because Frank Vandenbroucke also shone here. He was one of my heroes. And when I came training here in March, I was in love with the area. Paris-Nice has nothing to do with my house change to Monaco. I’ve only been to Monaco last May and since then it went very fast. Oddly enough the new Monegasque doesn’t intend to race Paris-Nice next year. I’d also like to race the Strade Bianche but that’s not combinable. I also have a lot of passion for Italy. In November I’m starting 60 hours of Italian lessons. Every Tuesday and Thursday, an hour and a half. Fortunately Sophie follows the same classes and can keep my notes updated when I have to race. So maybe in combination of Strade Bianche and Tirreno, well a good reason round off my Italian. 21 February: Without even noticing Tim Wellens comes 2nd in the mountain classification of the Tour of Andalucia. The form is good. 13 March: Wellens wins the final stage of Paris-Nice. His first win on the French soil. 17 April: With a 10th place at the Amstel Gold Race Wellens got his best performance in an Ardennes classic. The Walloon Arrow (65th) and Liège Bastogne Liège (48th) were real disappointments. 12 May: Tim Wellens wins the 6th stage of the Tour of Italy after a long solo. In Roccaraso, he has a 1’19” gap ahead of Fuglsang. 26 June: Wellens comes 2nd to Philippe Gilbert in the Belgian Nat in Cerfontaine after a two-man sprint. 16 July: Wellens wins in the rain the queen stage of the Tour of Poland with a 3’48” lead ahead of the second. He also got the final classification. His third win in a World Tour stage race. 6 August: Wellens was hit by the heat in Rio and retired early on. 1 October: He also retired from the Tour of Lombardy. After Rio he never got his wished level back. Because your objectives are located later in the year, in the heart of the ... Flemish mountains! I have experienced too much failure on the Walloon classics. When I talked about my program to the team, it was done naturally. I tried the Flandriennes, the Ardennaises, sometimes both. Now it's time to make a choice. I always had more fun on the Flandriennes, and the team also had a preference for the paving stones so much the better. On Liège-Bastogne-Liège, I will always find it difficult to anticipate the best punchers in the peloton. In Flanders, there are more opportunities, more surprises: it is more open! Each generation has a great champion. Cancellara and Boonen have dominated these classics for years, but they are not the only ones to be on the list! There have been openings, everything is possible. You do not fear the competition in a team specialized for cobbles, with Benoot, Roelandts, Debusschere, ...? On the contrary, to be able to present at the start with a group like that, it is nice. Tactically, it's more interesting to come up with a single leader. We can try different approaches, attack from a distance ... And then I find myself in a team that lives for the classics, which makes it a real goal and it makes a difference. Do you have a greater sensitivity for the history of the Flemish mountains? In Flanders, there is a real culture of cycling. I had the chance to discover all the classics, but it is in Flanders that we find the most beautiful, the most authentic. Riding the Old Quaremont is special. And now I feel liberated. I can do that, I want to do that. I love racing too much, I would like to do it all! Gone are the years to try various options, I stopped my choice and I know when will be the best time of year. For a month Tim Wellens exiled himself on the high grounds. In Isola 2000 in the French Alps, he’s preparing for the second half of the season which passes by the Tour of France. 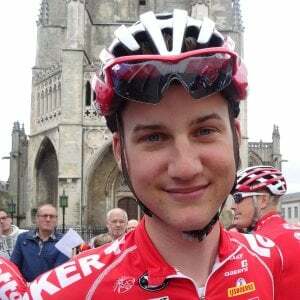 He could have competed at the Giro, a race that crowned him last year in Roccaraso but Tim Wellens chose for the lonesomeness of a long altitude training session in order to approach the second part of the season. Direction Isola, the largeness of the mountains and the depressing setting of completely deserted ski resort lost between its two touristic seasons between the last remainders of a winter that imposes its last attacks and the timid sketches of a reborn summer. “A real ghost town” laughs the Belgian who has settled there for almost a month [lol reading the depiction I also thought of the Far West ghost towns!! ] when hanging his bike back after a five hour ride interrupted by snow storms. 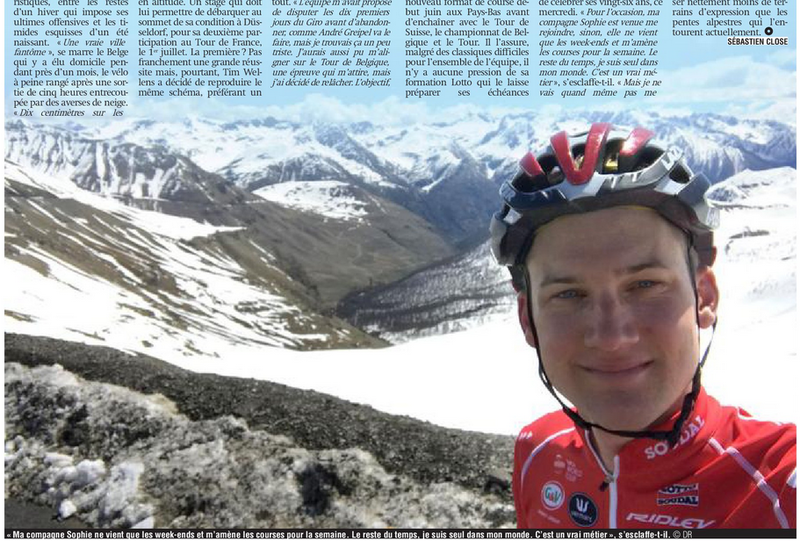 Since 29 April – five days after a Liège-Bastogne-Liège that did not fulfill his expectations like his other Ardennes races – the Lotto Soudal rider is living in high altitude. A training session that should enable him to land at the top of his form in Düsseldorf for his second participation at the Tour of France on 1 July. The first one was not really a success and yet Tim Wellens decided to reiterate the same approach, rather a long training session than a dossard before the French party. He sometimes passes by other cyclists near the Col de la Bonette, like the Katusha [Rein] Taaramaë or the Aqua Blue [Lawrence] Warbasse but that’s about it. The team offered me to race the first 10 days of the Tour of Italy before retiring like Greipel is going to do but I found it a bit sad. I could also have raced the Tour of Belgium, a race that inspires me but I decided to relax. The objective is not just the Tour of France but also everything that follows from San Sebastian to Lombardy. No way I should do too much before the Tour of France. On the agenda after his session the Hammer Series [grrr], the new race format early June in the Netherlands before making it to the Tour of Switzerland and the Belgian Championships. He makes it clear that even though the classics were hard for the whole team, he gets no pressure from Lotto who let him prepare his objectives the way he wants. The team is cool even if I think André’s stage win and pink jersey at the Tour of Italy did a lot of good to everybody. My team is letting me work on my own. It’s luxury. When I see that at Katusha, Taaramaë and all the others got a e-mail because the team are judging them overweight… At Lotto nothing of that. I put pressure myself. The victories in Mallorca are good but past and in fairness I don’t think it’s what the team is expecting. I cannot rely on my three season-opening victories. In this fertile pressure lay the ambitions of the Monaco resident who has just celebrated his 26 years last Wednesday. Last year a Philippe Gilbert also set his wheels in the resort of the Mercantour before being crowned Belgian champion a few weeks later ahead of … Tim Wellens. The Limburger would like to emulate his elder even though the flat route in Antwerp this year is likely not to give him enough room for expressing himself than the Alp slopes which are surrounding him at the moment. They're "doing a Vino", hoping it works for their riders as it worked for Nibali - and they're prepared to drop any Kessiakoffs that may come their way. Despicable way of doing business. Found an interesting article on the website of La Republica. If any speaker of Italian could help me understand it (just a summary, don't translate everything), please. I usually don't use Google Translate. Wellens e la via dell'onestà: "Il mio no ai farmaci dei furbi"
Al Lombardia il belga che lasciò il Tour per non prendere medicinali: "Se il mio corpo si è ribellato, vuol dire che ero andato al di là di quanto avrebbe potuto sopportare. Non ho fatto l'eroe, non avrebbe avuto senso"
"TIM Wellens", ha detto alla vigilia del Mondiale di Bergen Tom Boonen, "è uno dei pochi "merckxiani" del gruppo". Per mentalità, per spirito: è uno dei pochi capaci di attaccare senza remore, senza voltarsi mai, senza pensare alle conseguenze. Così, se sarà in giornata e magari se dovesse piovere (i corridori merckxiani con la pioggia si esaltano), la sagoma di Tim Wellens potrebbe spuntare sabato sul Muro di Sormano, una sagoma lunga e smilza, e poi giù dal Civiglio e dal San Fermo verso Como, verso il traguardo del Lombardia. Però Tim Wellens, nato il 10 maggio 1991 a Sint-Truiden, Limburgo belga, sulla linea di confine tra Fiandre e Vallonia, vincitore di tappa al Giro, ad Aremogna nel 2016, e di altre 13 corse, è diventato un personaggio e anche un simbolo durante l'ultimo Tour de France, lo scorso 16 luglio. Si era a 40 km da Laissac, a 150 km dall'arrivo di Le Puy-en-Velay. "Il giorno prima arrivo quasi stramazzando sul traguardo di Rodez, ultimo, a mezz'ora dal primo, a un quarto d'ora dal grosso del gruppo. Stavo malissimo, febbre, brividi, mal di gola, dolori muscolari. E un caldo bestiale". "Al foglio firma ho sentito sensazioni buone, mi sono detto "dai Tim, Parigi è vicina, non puoi mollare"". "Mi fermo, non andavo più". All'arrivo, il medico della Lotto Soudal, Servaas Bingé, racconta: Wellens ha rifiutato di assumere farmaci. Poteva farlo, non ha voluto. "È così. Ho deciso di dare corso alla natura, ho lasciato decidere a lei. Se il mio corpo si è ribellato, vuol dire che ero andato al di là di quanto avrebbe potuto sopportare. Non ho fatto l'eroe, non avrebbe avuto senso, e non ho fatto il furbo". Le TUE, le autorizzazioni mediche all'assunzione di farmaci con principi attivi dopanti sono una furbata, secondo lei? "C'è una zona grigia posta tra la linea della necessità e quella della furbizia dentro la quale operano alcuni corridori e alcuni medici, ed è difficile a volte stabilire quale debba essere il limite, è una questione soggettiva, di momenti della tua carriera e di una corsa. Sono onesto, se fossi stato in corsa per la maglia gialla forse, ma non ne sono sicuro, mi sarei comportato diversamente, ma anche arrivare a Parigi è un obiettivo per corridori come me e non arrivarci è un danno. Ho affrontato le conseguenze della mia decisione". "Non esiste un codice di condotta, non esiste una morale univoca, ognuno risponde del suo corpo e della sua coscienza. A molti il mio gesto è piaciuto. Io sono attaccato fortemente ai miei principi, altri hanno un altro modo di vedere le cose e non c'è una soluzione semplice. Io continuo a correre perché mi piace, perché è una cosa che ho ereditato dalla mia famiglia. Sa che la famiglia Wellens detiene un record?". "Mio padre e i miei due zii sono stati professionisti e hanno corso insieme il Tour 1981: non era mai successa nella storia del ciclismo una cosa così". Cosa le piace del ciclismo? E le piace l'aggettivo "merckxiano"? "Il fatto che me l'abbia dato Tom Boonen è un onore, ho sempre avuto il suo poster in camera ". "Da ragazzo impazzivo per il povero Franck Vandenbroucke. Oggi ammiro Sagan, Van Avermaet, Gilbert. Ma sono miei avversari e corro con l'ambizione di batterli. Alla maniera di Merckx, perché no". 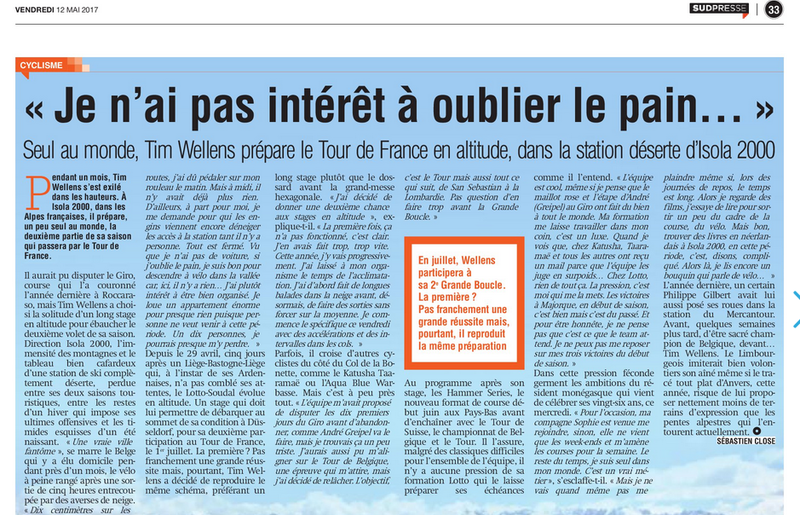 So I understand that the headline says Tim Wellens and a Life of Honesty or something like that. There are references to his abandon at the Tour of France for refusing TUE's. That he answers what his conscience tells him to do. He thinks there's not just one morality (not realy something I agree with but at least he's got a conscience and that makes him so likeable). At Bergen, Boonen said he was Merckxian for his spirit, mentality and the way he attacks without even thinking, regretting and without turning back. I felt a moderate sense of surprise when I read last September that Sean De Bie was moving on from . "I feel that I have more to offer as a rider and I want to show that," he said at the time. And last week at the Etoile de Bessèges we saw him deliver his first win since 2016. I had thought De Bie, whose family credentials in the sport are well known, might come through eventually but last year it seemed that he'd been lumbered with domestique duty at a string of WT races. The gap between what a youngster can do in WT and PCT teams respectively is an interesting trope but probably hoped to get more out of Sean, as they must have with the more mature Tony Gallopin, another alumnus who bounced back last week. It's too early to say just how effectively Gallopin will fill those brown shorts ( ) - he has form in Bessèges - but with a ripening Tim Wellens there was arguably one one-day-slash-one-week leader too many at Sergeant's squad and it's telling that the Frenchman has not been replaced. probably hoped to get more out of Sean, as they must have with the more mature Tony Gallopin, another alumnus who bounced back last week. In an article about Greipel at the end of the year Lotto said that they couldn't afford any new sprinter. The same applies for a replacement for Gallopin I guess, who must have been one of the better paid riders on the team, having been on a three year contract signed after winning a stage and wearing yellow in the Tour de France. There’s reported to be one winning ticket. "I did not leave Lotto, they pushed me away"
On Saturday, Kris Boeckmans (31) will ride his second Omloop. But it did not matter to her shaved calves, or it remained at that one 144th place in 2013. "I wanted to quit after the BK in Antwerp last year. I was cracked. The last half year at Lotto-Soudal I have never cleaned my training bike. With my new team Vital Concept I do that every day, all whistling. " Boeckie. From now on he is called La Locomotive. " Is the presence of Coquard the reason that ● you are at Vital Concept? "It clicks fine between us. He trusts me. I see the young Boeckmans in Bryan. Making fun, job satisfaction: often it is the greatest asset to success. I have been promised that sometimes I will get my chance, but Bryan should not attract the sprint. He is too small. I would catch too much wind. "On the other hand: because of their chauvinistic character, French teams are not popular with Flemish riders. "I was ready for a new adventure. I have many friends who have positive experiences with French teams. My girlfriend is a Canadian, she speaks French. Where can you learn French better than with a French team? "At the Wanty-Groupe Gobert in Wallonia you can also ● learn French. Why did not you return to the sheltered arms of Hilaire Van Der Schueren? "Hilaire was interested, but I followed my gut feeling. Both Wanty and Vital Concept are pro-continental teams, but there is a difference. At Wanty they start with a sprinter, two helpers, three attackers and a second sprinter. Many individuals, each with their own ambitions. Rarely do they follow one pattern. This is true for Vital Concept. In terms of strategy, they strive for the same as the WorldTour teams: one team, one plan. " ● At Lotto-Soudal you no longer belonged to that plan? "At the BK in Antwerp I had a conversation with the team management. I felt that I could leave. " ● What was the explanation? "I did not get it. Never. When I was driving my last race, a few members of staff said: Kris, you are leaving us? I then replied: No. I will not leave you, you have not given me a choice. " of all places. I had not seen a mountain for three months and was still standing on my cobbled weight. And then they'll forget over there during a ride in freezing temperatures and ice rain to also take your rain bag with all your winter clothing in the trailer. "● You also collected only fifteen race days after the Belgian Championship. "The two months after the BK even two race days. I was no longer drafted. In the beginning you will still train behind the moped to simulate matches. But after two times you are sick of that. In one of the few races that I was allowed to start, the team leader instructed me through the earphones to head straight from the start. No, I do not think so, have I responded by means of radio communication? " fall and an artificial coma crawl on the bike again, does that mean that you are passionate about it? No one has the right to take from another person what he likes to do. " ● Are you now feeling revenge feelings? "No. If I meet those people later, I will shake hands with them. I also had beautiful moments at Lotto-Soudal, only the end was very sour. At Vital Concept I enjoy cycling again. I come home from training and the first thing I do is clean my bike. The last six months of last season I never cleaned my bike. " ● A new team, a new friend. Much changed in your life. Was that necessary? "Yes. It was only coincidence that both happened at the same time. " ● Is emigrating to your girlfriend in Canada an option in time? "I have already thought about it. Commuting between Canada and Flanders is also possible. Although that is not cheap. " ● Do you often hear Stig Broeckx? "As often as possible. I do not make phone calls or send messages. I prefer real visits and I like to make time for that. Stig is a good friend. When we were still together, he did something for me that other riders would not do quickly. It was during a ride in the Dauphiné 2014 where I was second. He was still neoprof at the time. Halfway through the course there was a climb and I had to unload. Stig has intentionally let itself be discharged. I'll stay with you, because I think you can win today, he said. It typifies Stig. He is always more concerned with others than with himself. Even now. I did not dare to tell him that I was thinking about quitting. " ● What may we wish you for in 2018? "Good health and no falls. I would love to win another course. The last time was Gullegem Koerse. Do you know who I defeated there? " "Greg Van Avermaet. Winning is important, but more important is who is on the podium next to you. Although it will not be easy to repeat that again. " It's sad but he wasn't able to get back to the level he had before although he seems keen to point out here that ill-health worked against him for the most part. We have heard before that can be a bit hard and distant about these things and then there are always budget pressures. It's anecdotal but isn't known to be generous with salaries, so perhaps offered him a better deal, while, as he said, might also have preferred Dupont for sprint engagements. I seem to recall hearing in the commentary at OHN that Dupont had been told to pull his socks up after a crap first half of 2017. He has been improving steadily although he will struggle to get wins at a higher level. What attracts me more about is the gentle offset of Belgian traditionalism with the cultivation of a sort of herbaceous border consisting of youngsters like Odd C Eiking and Guillaume Martin. Those are very interesting prospects and I would expect that Van Der Schueren will struggle to keep Martin in the longer term. As one of the greatest climbing talents he went storming the cycling sky. But three years LottoSoudal became a heavy disappointment for Louis Vervaeke (24). At Sunweb he is now completely revived. 'I've been deeply seated, but I'm still convinced that I can become a topper,' says Louis Vervaeke (meanwhile at Sunweb). BRUSSELS I He was world leader in the promises, won where and when he wanted to. Full of ambition, he started working as a pro at LottoSoudal in 2015. But three years later, little has come of those high expectations. "It had to change. I really needed something new, on a team that suits me better. And now I've found it at Sunweb. " What went wrong with LottoSoudal? At Sunweb are you being accompanied? 'It is a totally different team, with a different philosophy. At Sunweb I have a personal coach, a personal trainer and a nutrition specialist. I now get clear guidelines and must follow them without contradiction. If I drive two trainings too long or too fast, I immediately get an angry phone. I am kept tight on the leash and I needed that. Every day I am obliged to fill in a kind of logbook, with eight questions. My training schedules and nutrition are also on it. I can not make mistakes anymore. " What is your task with the team this season? The team wants you to become the right hand of Tom Dumoulin in the Giro. That is where trust comes from. 'Yes, the team has not forgotten what I have presented in youth. And the Giro is the ultimate goal. I want to be top of that and help Tom Dumoulin to a second victory. I have the ambition to go up with the best. After ParisNice I drive the Tour of Catalonia and then I go with Dumoulin and Oomen three weeks on altitude training on the Sierra Nevada. With trainer and caregiver. They have had faith in me from the beginning. " Does it click with Dumoulin? Were you not nervous when you first met him? Last year you were also mentally deep. "Yes, I let it blow. But thanks to my new friend Astrid, I feel much better. You became known to the general public through the VRT focus monkey 'Jonge Benen', with also Tim Wellens and Jasper Stuyven. Do you still have a lot of contact with them? He and Wellens are already a lot further in their career. Does not that mean? is a tough team for youngsters, which could be seen as ironic, I suppose, when you consider that it has one of the best known U23 programmes in pro cycling. It is also a dead-end street for pure climbers. Is it any wonder though? Almost all the staff are flatlander ex-pros and almost all of them rode for Lotto. And a couple even had their kids schooled there too (Frison, Leysen). Sergeant is surrounded by guys he knows, has fairly secure funding and keeps expectations modest. De Geyter has recently arrived and may want to shake things up but the formula seems to be satisfactory, if hardly sparkling. So à l'ancienne, as Vervaeke describes it, means that methods are old school and riders have a hands-off relationship with the team. Consider some of the senior riders on the team, like Maes, Marczynski, Monfort or Hansen: all of them journeymen, "pro's pros" one might say, but all very individual characters. As for youngsters, the team doesn't hire that many of its own considering the healthy size of the U23 team, and few of them stay on in the longer term. So Vervaeke was yesterday's massive climbing talent, just as Lambrecht is today's. Who knows if Rémy Mertz, Enzo Wouters and James Shaw will stay on after 2018 but none have been very visible so far, or rather have been given much of an opportunity to be visible, since they stepped up. Wellens is the only big success story of recent years in that regard, since we are arguably still waiting for Benoot to confirm his early results. The man from Sint-Truiden was no world beater at U23 level but he showed a precocity for tough racing, was allowed to attack and join breakaways and got himself talked about in similar terms, I remember, to guys like Dillier and Dumoulin in their earliest races. Wellens' debut in a GT, the 2014 Giro which Greipel skipped and the team had no leader, was a revelation and the fit was perfect. "I was satisfied with how I felt, but with how it worked out that didn't translate into a good result", says Benoot. "But I did get confirmation that my altitude training in the Sierra Nevada was the right choice." This sort of training so early in the season is a new experience for Benoot but he will hope to capitalise on the good form it has brought him. In his two previous starts in Strade Bianche, Benoot has finished eighth both times.